The latest VR headset from Oculus won't require a smartphone or PC to drop users into virtual worlds. Virtual reality headsets are a relatively-new technology, and as such, they're quite expensive. This issue is worsened by the fact that many VR headsets on the market require some sort of added technology, like a smart phone, while others require powerful PCs in order to deliver their virtual experiences. 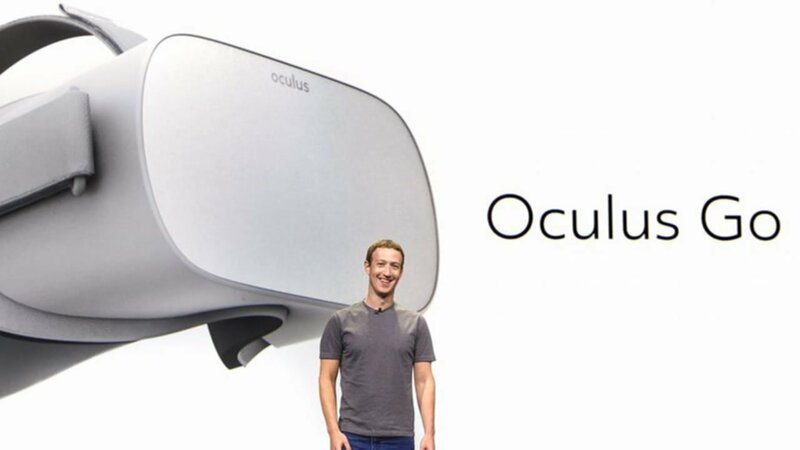 However, all of these financial woes are soon to change, as Facebook CEO Mark Zuckerberg took the stage at the recent Oculus Connect keynote to reveal the new Oculus Go, a standalone headset that doesn't require the use of a PC or smartphone. Billed by Oculus' Hugo Barra as "hands-down the easiest way to get into VR," the Go headset is meant to be the most approachable way for Oculus to meet their goal of getting VR technology into the hands and households of one billion users. Seeing as how the Go is set to cost $199, which is only a trivial increase in price over Gear VR when compared to the cost of the HTC Vive or PlayStation VR, that goal may soon become a non-virtual reality. One of the more obvious questions regarding the Go headset is a question of what sort of tech lies underneath the surface. For now, we don't exactly know what powers the Go. However, the Oculus Go should be able to run all of the same software that the Gear VR headset should run -- Oculus states that "developers building for Gear VR are already building for Oculus Go" and that the Go will have access to Oculus' most popular mobile VR software on day one -- so it may be that the Go essentially boils down to standard mobile technology without cell network connectivity. In either case, we should learn more about the Go sometime "early next year." Stay connected and protected by picking up one of the cases and wireless accessories we've featured on our list of the Best Mobile Accessories.